Features the Cessna T-50 Bamboo Bomber. Heavy Ultra tight knit 6.1 oz Hanes or Gildan 100% pre-shrunk cotton. Seamless double-needle collar. Taped neck and shoulders. Double-needle sleeve & bottom hems. 5 Star rated shirt ! Features the Cessna T50. Heavy 6.1 oz Hanes or Gildan 100% pre-shrunk cotton; Ultra tight knit surface. Seamless double-needle collar. Taped neck and shoulders. Double-need sleeve and bottom hems. Quarter-turned to eliminate center crease. 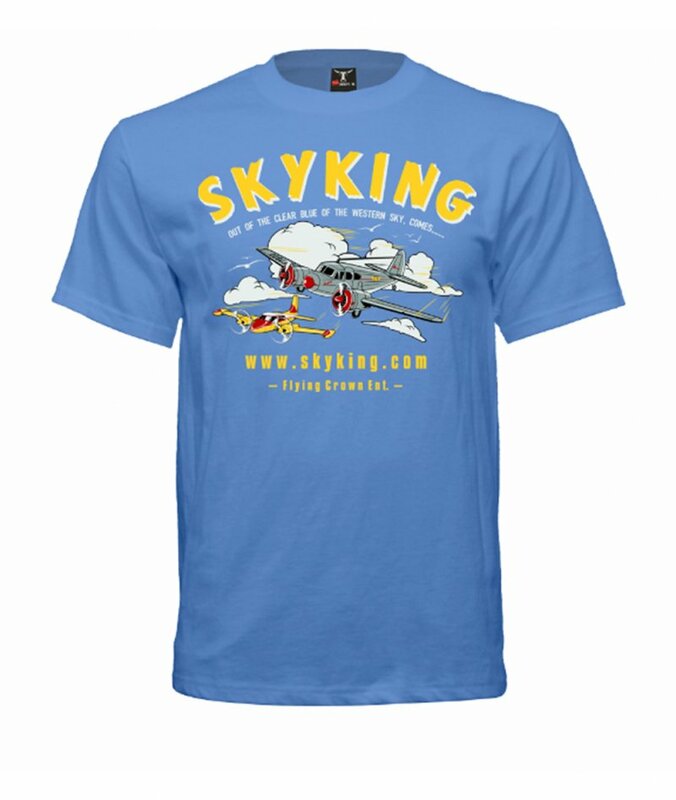 Short sleeve, no pocket, crew neck -- Officially Licensed by Flying Crown Ent.